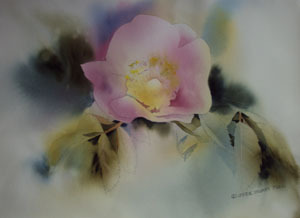 Original Watercolor by Carrie Stuart Parks. 15" x 22". Painted on Arches 140 weight watercolor paper.